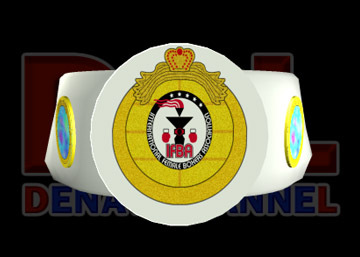 for ten two-minute rounds the fight is sanctioned by the International Female Boxing Association and the New Jersey Athletic commission. commentary by our analyst Gayle MacGregor. 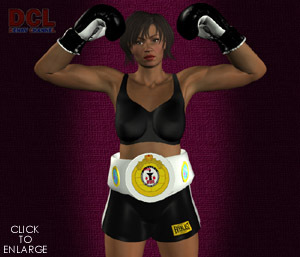 Boxing title before capturing her current British Light-Heavyweight Professional Championship in 2006.
perimeter before stopping in the red corner. wonderful condition and determined to claim the victory. distance. 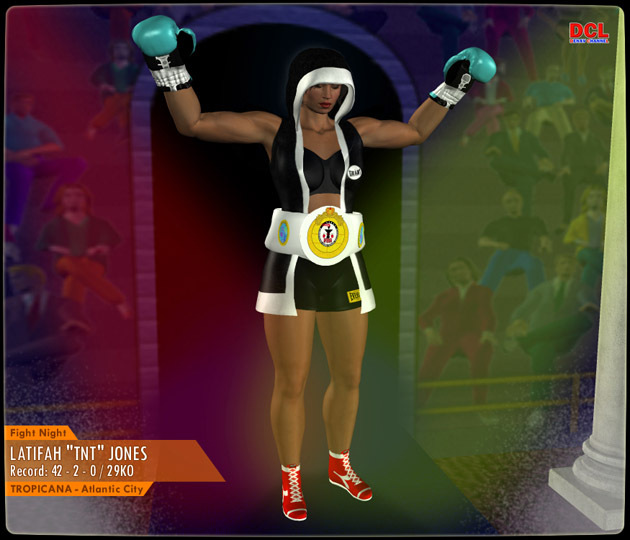 Latifah worked heavy hooks into the ribs and belly of her English foe. these hammering strikes caused many of Latifah’s blows to miss their target. It was a winning strategy for the challenger in this opening session. She looked pleased as she returned to her corner at round’s end. adversary making defense much more difficult for the British boxer. ooze out of the damaged nostrils. 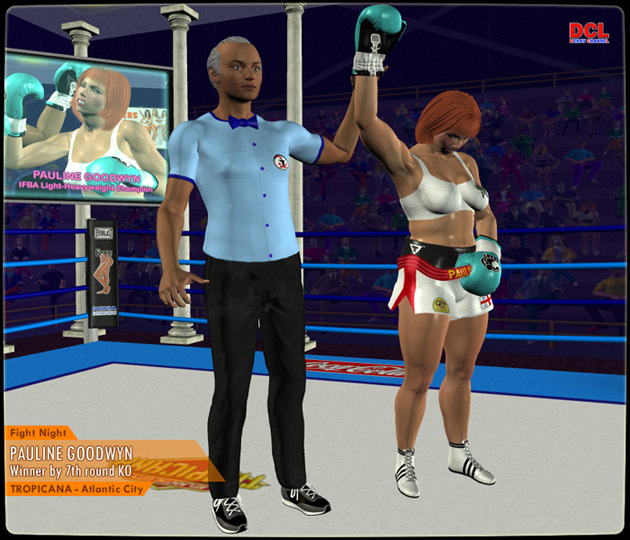 Round three found Ms Goodwyn increasingly employing a well-executed right uppercut inside the defensive shield of the ebony champion. Time and again Ms Jones’ head was jacked painfully upward leaving her vulnerable to combinations from the challenger. was moving more in the direction of the aggressive red-head in this pivotal third round. the champion gradually gave ground before the pressing assault. spreading blood and mucus over the face of the unsteady challenger. juncture in this exciting donnybrook. countering with her own quicker left hand to the head. Whammo. The bomb twisted the champ’s head painfully to the side. bucklers of her rival. 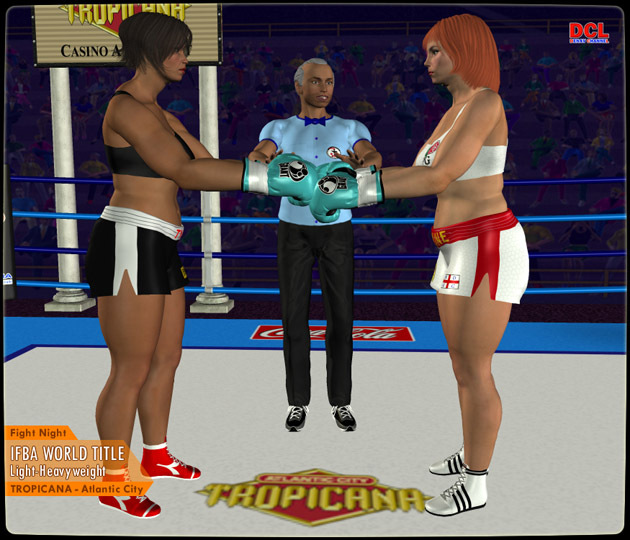 Murderous hooks and uppercuts jolted Latifah’s head up and down as she tottered backward toward the ropes. she appeared steady and focused, the opening volley of punches by Ms Goodwyn soon erased the progress achieved in her recovery. landed with full momentum on the left side of Latifah’s jaw. count-out. 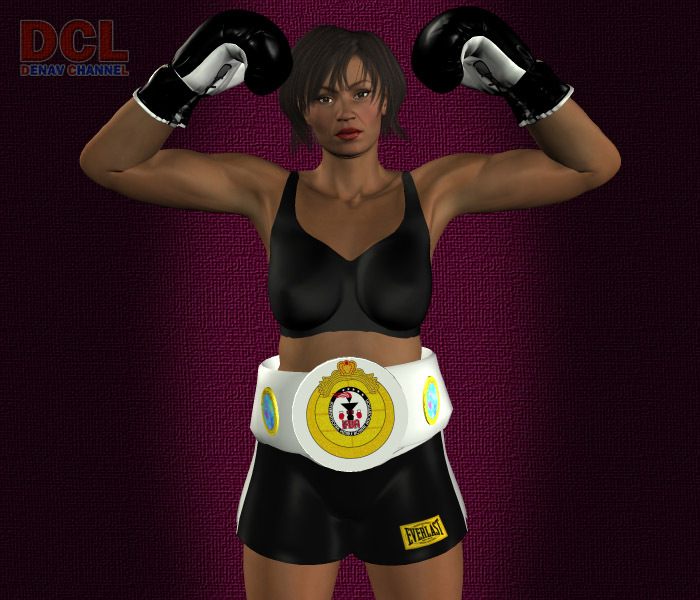 Latifah never heard the fatal ten-tolled over her at this terminal tenure of her World Championship. opportunity to reap the rewards of this momentous event. As the crowd erupted in a thunderous ovation, Pauline stood with her head bowed fidgeting with the waistband of her boxing trunks. accomplishment, struck a boxer’s pose for ringside photographers. This was a moment they wanted to share with the winner and remember.